With its fluffy ears and spoon-shaped nose, the Koala is one of Australia's most adored animals. In Australia you can still see Koalas in the wild, and we aim to keep it that way. The Koala is distributed across South Australia, Victoria, New South Wales and Queensland, however, clearing of the koala’s habitat has drastically decreased numbers compared to pre-European settlement. Because seeing a koala in the wild is special, for these five reasons. You rush to catch up to your tour group, but a lump in the next tree catches your eye. Could it be? Its large, grey and furry. OMG Its a Koala! The Guide and group come back, filled with excitement. You point out your Koala, over and over again. How did you see that? they ask, impressed. You shrug, nonchalant. Because you’re a genius a tiny voice says in the back of your head. 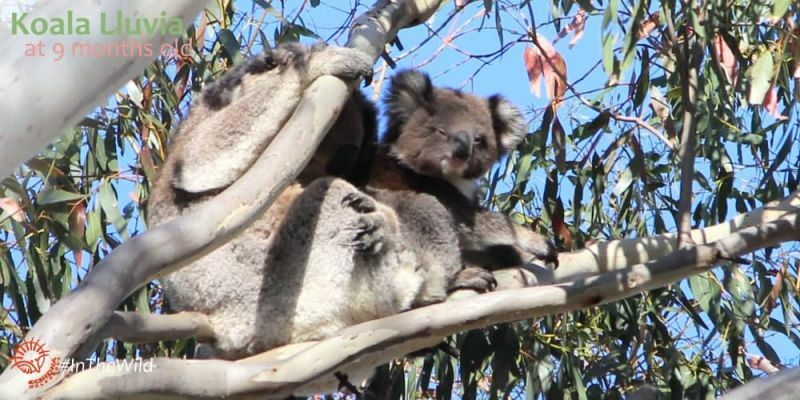 If a few people go to a small town to see a wild Koala, locals notice. When a few hundred people are visiting regularly, businesses notice. If numbers swell to a few thousand people – all to see wild Joalas – governments notice. Local people that benefit from wild Koala tourism are more likely to protect their asset – the Koala, and the forest that they need. Eventually, government strategies are made into law to protect the Koalas. Many local councils around Australia have koala management strategies. I should know. I’ve been a Koala Researcher, visiting the same locations to see Koalas for 26 years. 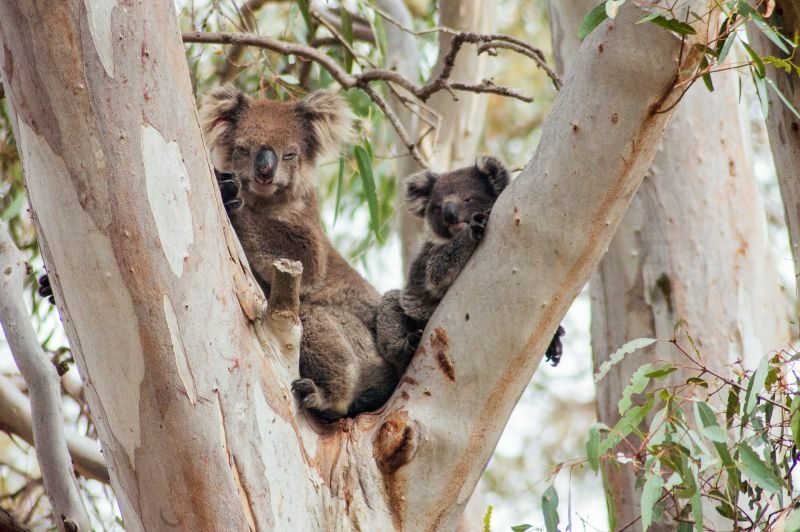 I’ve seen hundreds of Koalas, thousands of times – in trees, on the ground, with their babies. But I’ve never had the same experience twice. This year, I witnessed the unexpected return of a young male koala to his mother. Lluvia was born in 2015 to Misty, a young female. When he was one year old he left, as male joeys do, to find his own home somewhere far away from his mother. So when he returned as a 2 year old in 2017, I assumed it was a brief visit. I was wrong – he stayed and is now resident in the home range adjacent to his mother’s. Wild koalas don’t live in built-up urban areas. To see a wild koala you have to get out of the city. This map of koala sightings around Sydney shows the situation clearly. Koalas stop at the urban fringe. You might see a small brown bird fly in and perch on the Koala’s back. The bird – a Brown-headed Honeyeater – starts plucking fur from the Koala, then flies off to line its nest. In a month, baby honeyeaters will be snug and safe in a Koala-fur blanket. The Koala is part of a natural ecosystem that is living right in front of your eyes. Experiencing this – especially if your questions can be answered by an experienced Wildlife Guide – provides the sort of natural history education that many people miss. Koalas are a both a flagship species and an indicator species. Protecting koalas in the wild benefits many other species. It even benefits humans. Get involved with Wild Koala Day on May 3. 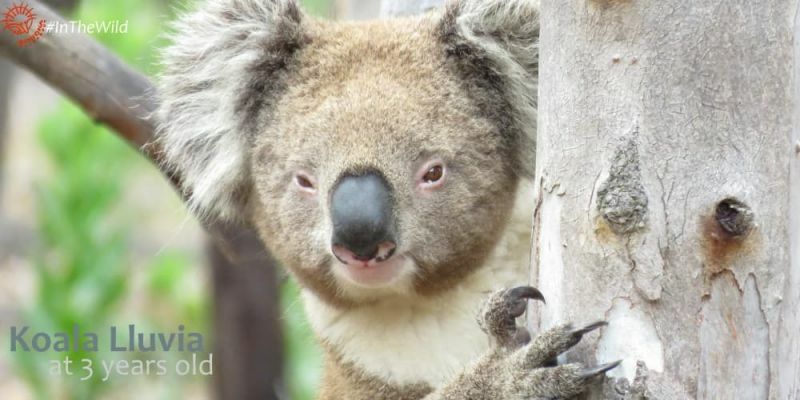 There are lots of ways you can help wild koalas.